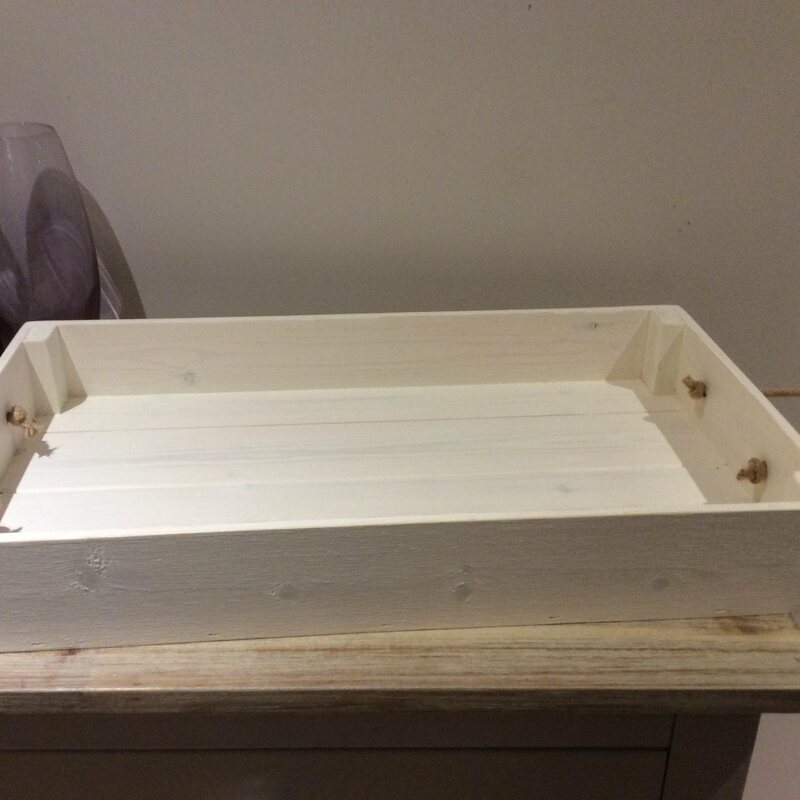 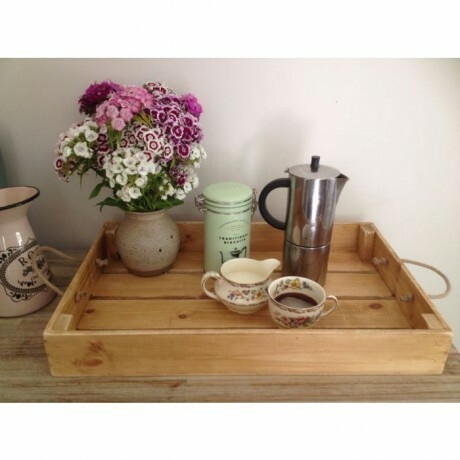 Handcrafted by Fiona and Philip in the Yorkshire countryside this rustic tray is constructed from kiln dried, high quality sustainably sourced wood and features natural rope handles for easy carrying. 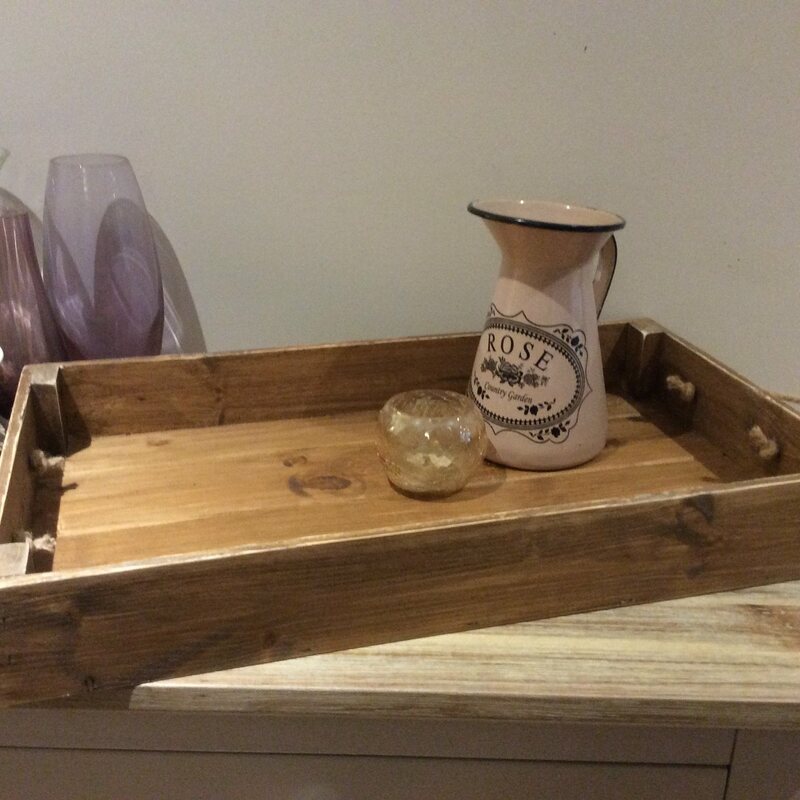 Add a real rustic feel to your home, great for serving dinner or afternoon tea. 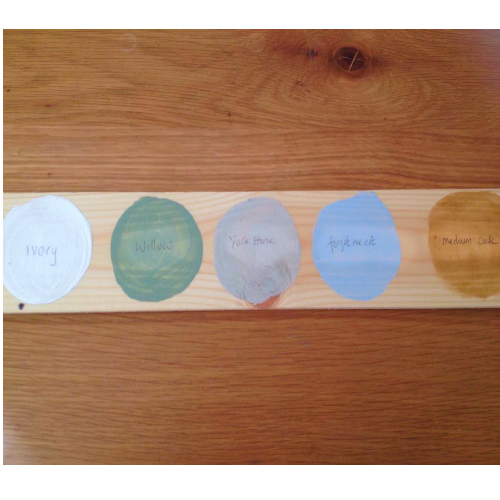 Available colours / finish: Light Oak wood stain, Medium Oak wood stain, scorched wood effect, Ivory, York stone, Willow green, and Forget me not blue.